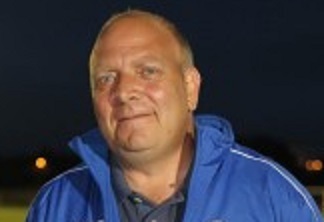 Liphook United Football Club is delighted to announce the appointment of Andy Keen as the new first team Manager. This is a real coup for the club as Andy has a wealth of experience. It really is a great opportunity for every Liphook United player to learn and improve under a UEFA B qualified coach with a very impressive coaching history. Andy has previously been in charge of AFC Rushden and Diamonds Under 21s, Reading FC Academy and Bracknell Town to name just a few. He has also managed internationally, having taken charge of the Falklands international team. Andy will be joined by another experienced coach, Neil Wood, who has also previously managed at a high level with Leeds City FC. We are also very happy to announce that Arnold Miron will continue his involvement and will be joining the team as the manager of the Reserves. Arnie has spent the last few months as caretaker manager of the first team; he has been working alongside Kevin Adair and Reserve Manager Carl Harris, who have both decided to step away from management for a while when the season ends. We thank both of them for their efforts. They have done an excellent job and are true club men. No Replies to "Andy Keen appointed as First Team Manager"